Midgar Classic Wet Flies. 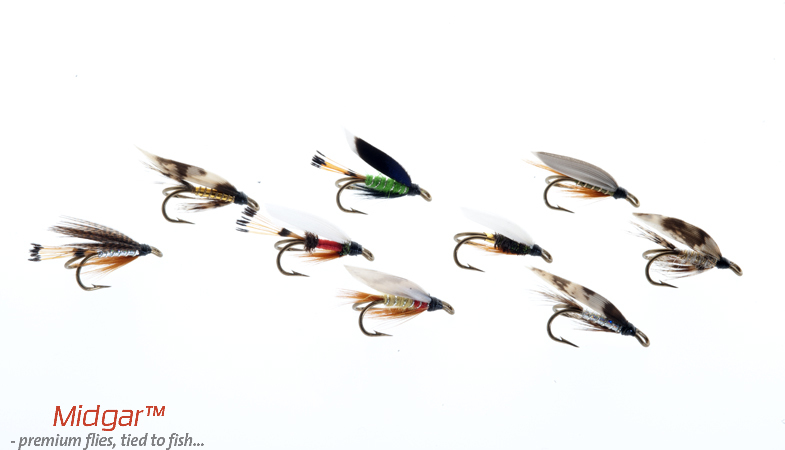 We are proud to re-introduce the old classical wet flies. These flies have proven their place along the stream for decades, but has become more and more difficult to get hold of in Premium Quality. Our customers have asked us to offer these for many years, and here they are! From 2013 we will offer them on double hooks only, but from 2014 they will also be available on single hooks!